Looking for the ultimate birthday gift to excite someone’s inner-child? Here’s some inspiration. 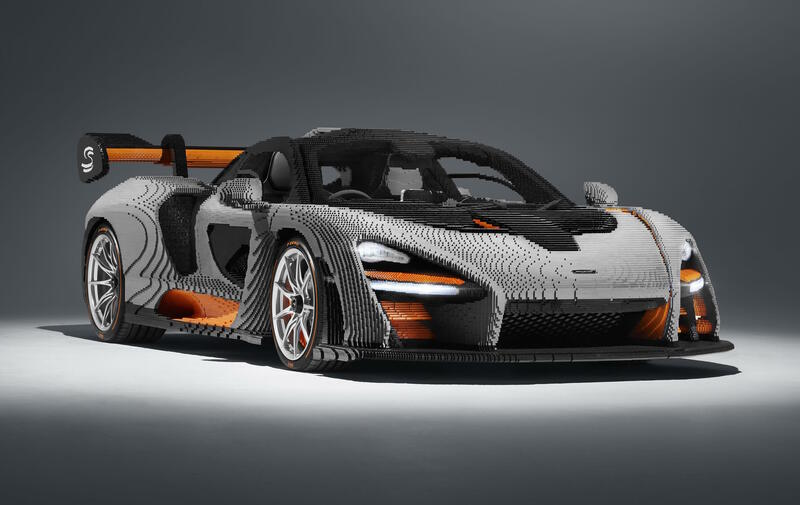 McLaren and Lego have teamed up to create the mother of all toys; a full-size, 1:1 scale model of the McLaren Senna, made with almost half a million Lego bricks. 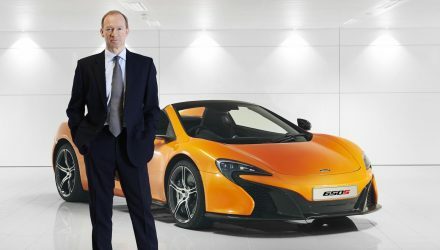 The project was put together in secret, McLaren says, with specialist assembly workers clicking together bricks around the clock for almost 5000 hours. 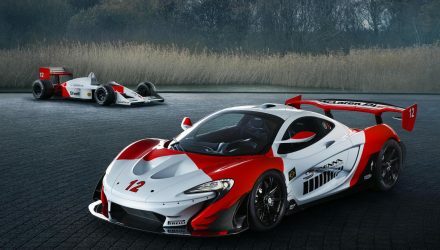 Interestingly, in that amount of time McLaren could have hand-assembled around nine real Senna hypercars. 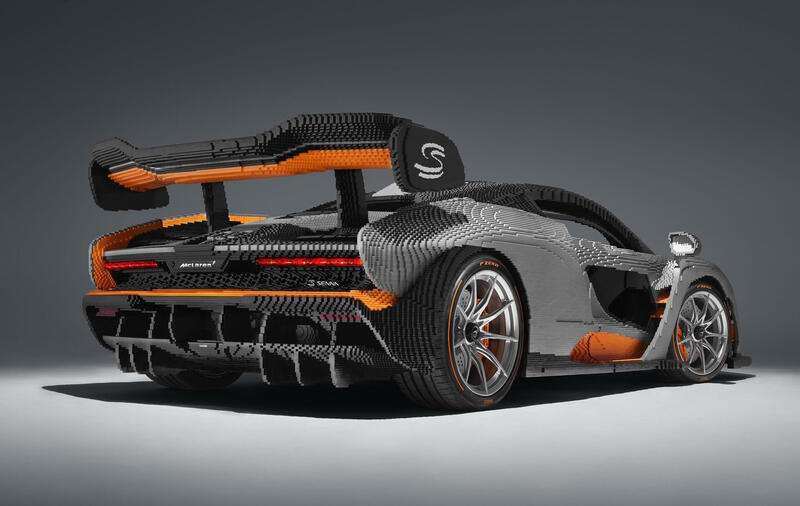 Some 467,854 separate pieces were used to create the model, and despite being made from plastic the giant toy actually weighs more than the real McLaren Senna, which is made predominately of carbon fibre. 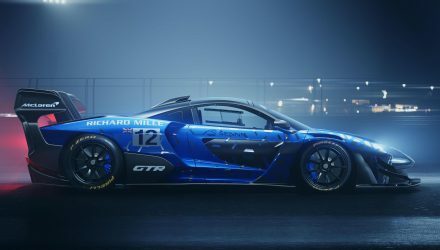 It stands at around 1700kg, or 500kg more than the real car. It’s not entirely made from Lego bricks, but it is pretty close. 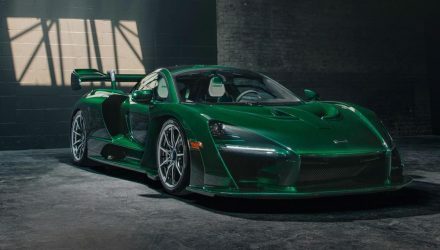 The wheels and tyres are identical to those fitted to the real car, while the interior features a real driver’s seat from the Senna made from carbon fibre, real pedals and steering wheel, and the touch-screen interface for the dash is real. 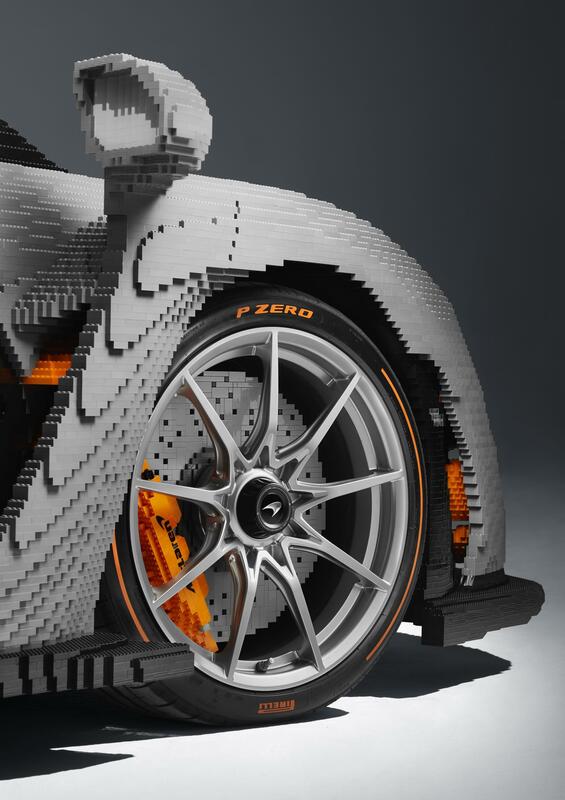 However, there are many parts that are made from Lego that you might not expect. 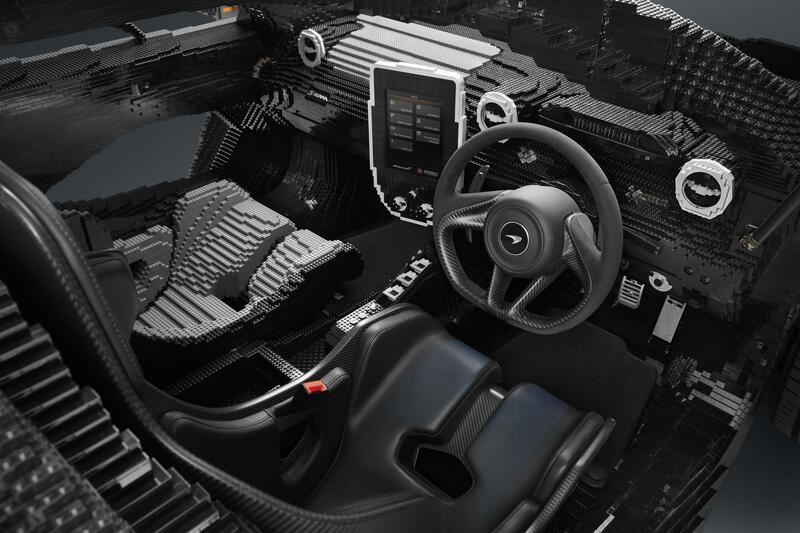 The dihedral doors are made from Lego and can be removed for easier access. There’s also a start button which initiates a soundtrack simulation of the real car, and the Lego lights can be turned on and off. 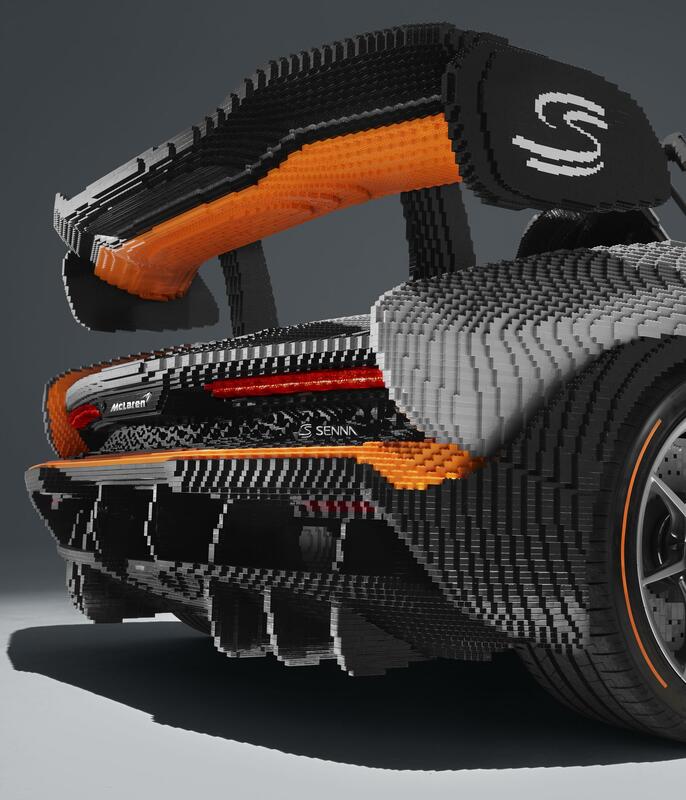 Overall it took the design and development team around 4935 hours to complete the project, with 42 men and women from Lego putting in the hard yards. They worked in shifts in teams, around the clock, with 10 workers in each team. 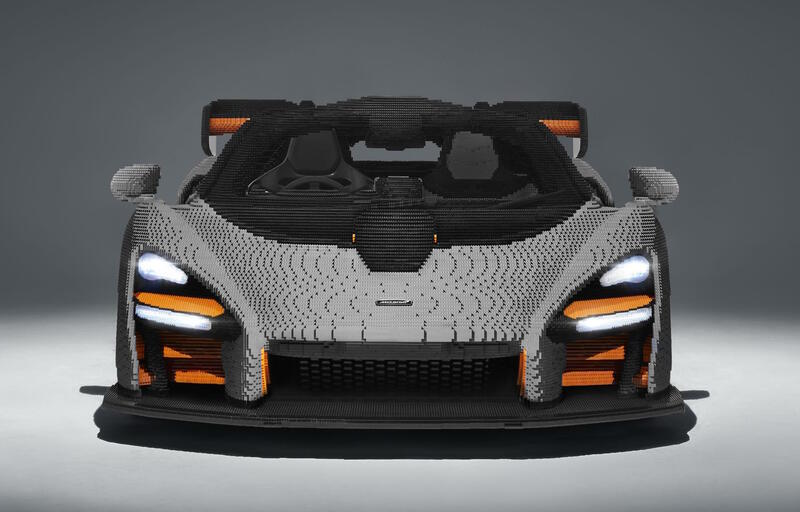 McLaren and Lego will be showcasing the model at a variety of events throughout 2019, including at the Goodwood Festival of Speed in the UK in July.